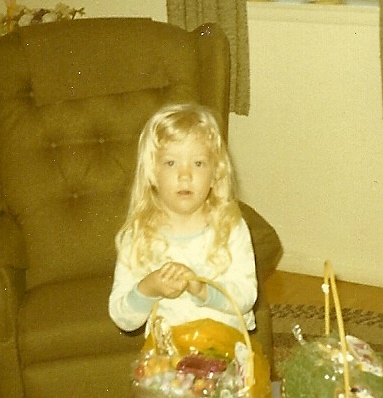 PHOTOGRAPH: The author at age five on Easter morning in New Orleans. NOTE FROM THE AUTHOR: I’m not sure why I loved to dust so much as a child because I don’t like to at all now! ABOUT THE AUTHOR: Laurie Kolp, author of Upon the Blue Couch (Winter Goose Publishing, 2014) and Hello, It’s Your Mother (Finishing Line Press, upcoming) serves as president of Texas Gulf Coast Writers and belongs to the Poetry Society of Texas. Laurie’s poems have appeared in more than four dozen publications, including the 2015 Poet’s Market, The Crafty Poet, Scissors & Spackle, Blue Fifth Review, Pirene’s Fountain. An avid runner and lover of nature, Laurie lives in Southeast Texas with her husband, three children, and two dogs. Laurie’s website is http://lauriekolp.com.